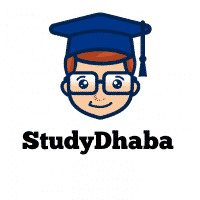 Why the IAS Exam is Not a Hard Nut to Crack Pdf download -IAS 2017 -Hello friends Welcome to studydhaba.com .here We are Sharing some important Points Related to IAS Exam. With the board exams going on, exam fever has gripped the nation. For all you IAS aspirants, who obviously must have taken your board exams years before, it must be amusing to see teenagers struggling hard to make sense of the sudden ambush of importance that an exam has given them. You would probably be thinking, ‘this is nothing. The real tough one is in June!’ Yes, the UPSC civil services exam is considered a real tough nut to crack. A lot of factors like the unending UPSC syllabus, the rather stiff competition, the minuscule pass percentage, and of course the high stakes involved – all contribute to this ‘hard nut’ image that the IAS exam has gained. But in actuality, it is not so. An analysis with a calm and unemotional mind reveals that the IAS exam is not a hard nut to crack. Read on for more insights into this. With the right tools, any nut can be cracked. To crack the IAS exam, all you need are the right armory. The right tools include the right study material, mock exams for you to practice, previous years’ question papers, etc. The second thing you need to crack the IAS nut is the right atmosphere. When and where you study is of utmost importance – as important as what you study. You must have a peaceful environment at your home or place of residence. Many things are out of your control, but if you want to achieve your goal, you must make positive changes in your life such that you can apply your entire focus towards your IAS preparation. Lastly, you need the right guidance to crack something like the IAS exam. You can, of course, study the material on your own. But you must know certain tricks like relating what you read as current affairs material to the IAS syllabus, knowing how the UPSC will ask questions and so on. You must also understand what to read from the newspapers and magazines.